Many technological advances have been made in the area of Ear, Nose and Throat surgery. Procedures such as tonsillectomy, thyroidectomy, sinus surgery and ear tubes are less invasive with shorter recovery times. 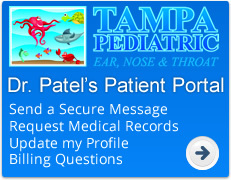 At Tampa Ear, Nose & Throat Associates our physicians are dedicated to providing each patient with the best possible evaluation and surgical care available today. Here is a list of some of the surgical procedures performed by our physicians. To learn more please click on the link.